The Medieval Village of Peccioli is an enchanting little town on a hilltop surrounded by a breathtaking Tuscan countryside, where visitors are offered the opportunity to "live as Pecciolesi" for a while. ...more! 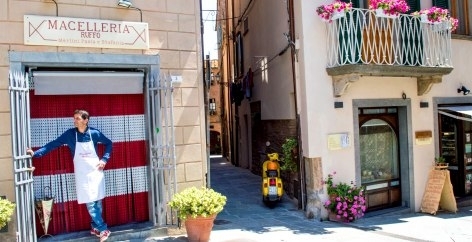 The Summer vacation is a great opportunity for many people to visit Tuscany and its lovely art towns. Staying in Peccioli is very convenient if you want to reach main towns like Florence without any rush, even by train if you park your car in Pontedera. Something you should not miss: an unforgettable supper at one of our great restaurants in town! ...more! 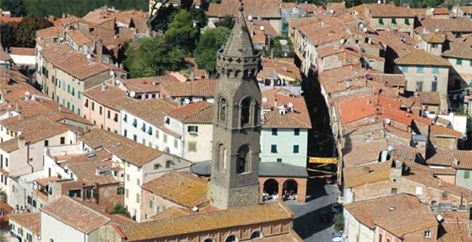 Guests staying at the Medieval Village of Peccioli can choose among restaurants, bars, a historic pastry shop and several food shops for their daily shopping ...	...more!